I gave them to the kids the next morning and they LOVED them! 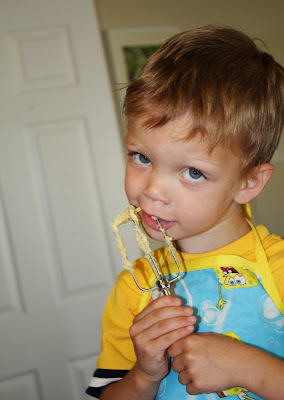 Then we made some chocolate chip cookies, I have had a few of you ask for the recipe, so I put it below...they are soooo yummy and really soft. My FAVORITE! We went camping for 3 days last week in Uintahs again, We got back on saturday night...Iwill be posting camping pictures in the next couple days. Of course I had to buy the sponge bob fabric when I saw it for Mckay! Look how Ky dumps the flour in with her hand all backwards...too funny. This was Ky first time mixing...I am so sad my Kitchen Aid is broken so I have to use a hand mixer till I get it fixed :( I miss it! Licking the beaters of course. I love that our oven has a light in it. Mckay is a dunker just like his daddy. 1. Preheat oven to 350. Sift together the flour and baking soda, set aside. 2. In a large bowl, cream together the butter, brown sugar & white sugar. Beat in the vanilla pudding mix until blended. Stir in eggs & vanilla. Blend in the flour mixture. Finally stir in the chocolate chips. Drop cookies by rounded spoonfuls onto ungreased cookie sheet. 3. Bake for 11 minutes in the oven. Edges should be golden brown. I am so impressed with you. Can I just say you are my idol? You are such a darling little mommy. Your kids are very blessed. By the way, I totally could not sew something like that in a half hour. Or probably in 5 hours to be honest. 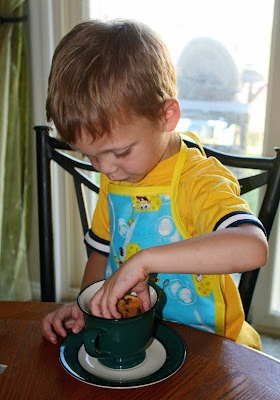 I love the aprons...they are even cuter in person...I hope you get us for Christmas this year! And the cookies are the bomb! Thanks for the recipe - finally! You are awesome...I really believe there is nothing you can't do little sis! You are the cutest mom ever. I love the Aprons-I wish I lived closer to you guys and I would pay you to help me be more crafty. 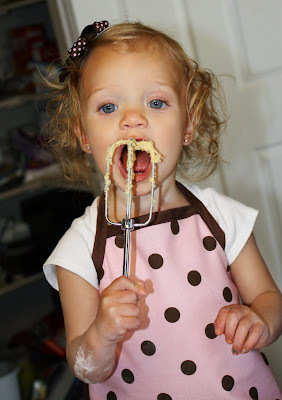 Thanks for the free cookie receipe-choc. chip is Pete's fav. so we will have to try them out! Cute cute cute!!! Will you explain to me how you made them? I know that's easier said than done... but I'd really love to know how to do that. Thanks for the recipe as well - we will definitely have to try that out. 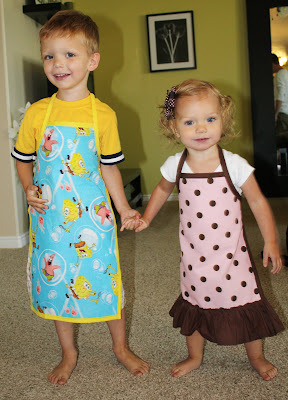 What cute kids (and aprons)! How do you have time to do all that awsome stuff. Man, makes me feel lowsy. I can barely keep the house clean. I haven't seen you forever so it is so fun to see this blog. I wish I could hire you for pic...so awsome! !